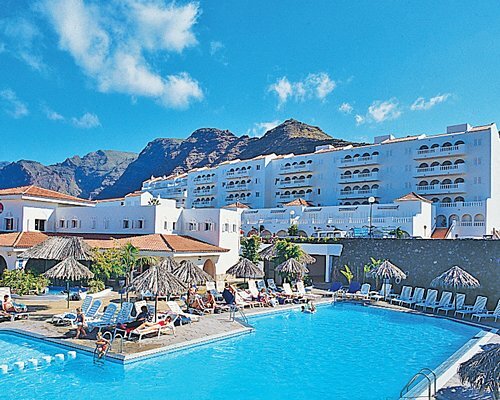 Nestled in the scenic hills of Tenerife, Club La Costa is conveniently located close to Playa de las Americas. 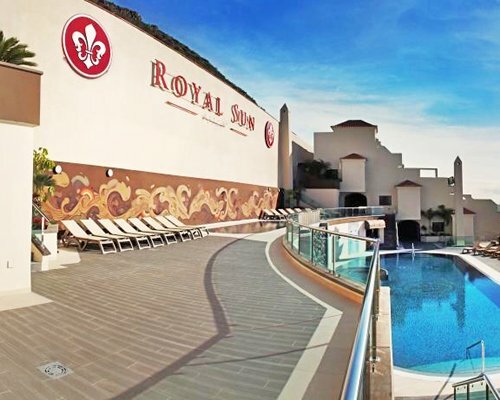 The resort offers superb facilities including heated swimming pool, children’s pool, playground, mini-golf, a shop, laundry facilities, nightly entertainment, two restaurants, and a choice of bars. 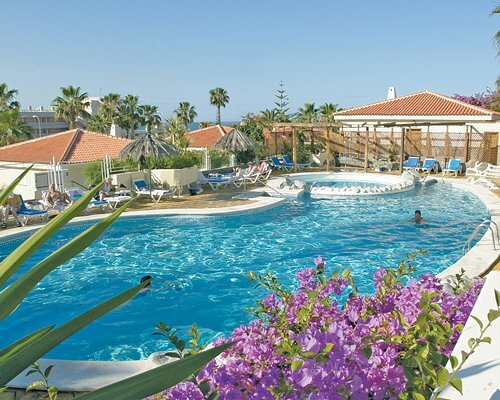 Club La Costa offers fun scheduled activities throughout the day and evening for the whole family such as water sports, arts and crafts, bingo, football tournaments, Spanish lessons and games. Club La Costa offers bright, spacious comfortable apartments equipped with everything you need to make your vacation absolutely delightful. Units include studios that can accommodate 2 people, one-bedroom apartments that can accommodate 4 people, large, two-bedroom apartments for up to 6 people, and three-bedroom units that can accommodate up to 8 people. All units feature full or partial kitchens, microwave ovens, coffee machines, toasters, telephone, satellite TV, hairdryers, in-room safe, irons and ironing boards. There is good reason that Tenerife, the largest of the seven Canary Islands, is known as the "Island of Eternal Spring." Its heavenly climate allows visitors to enjoy its wonderful beaches, fascinating volcanoes, dense forests, spectacular cliffs, and crystal clear waters 365 days a year. Explore Teide National Park and Mount Teide (the third largest volcano in the world), subterranean caves, botanical gardens and exciting dive sites. Tenerife also offers wonderful theme parks and water parks for the children. The parrot show at Loro Park, with the largest collection of parrots in the world, and the dolphin show at Octopus Aquapark, are popular attractions. Enjoy shopping, restaurants, and nightlife in Santa Cruz de Tenerife and Los Cristianos. The popular and sophisticated Casino Taoro offers gaming, fine dining, and entertainment. In February, Tenerife hosts the Carnival of Santa Cruz de Tenerife, one of the biggest and most spectacular events of its kind in the world. On-site construction or remodeling may disturb guests from January 4, 2019 to September 20, 2019.